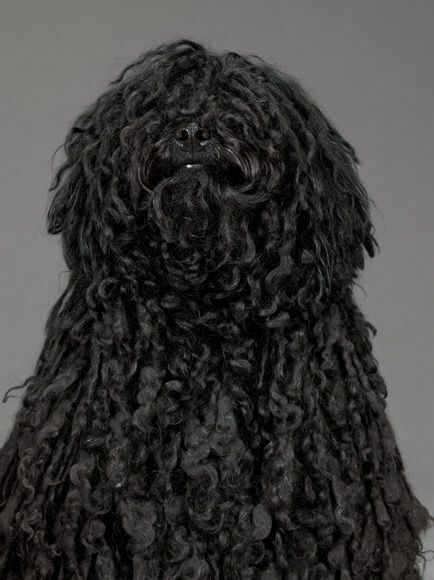 With its remarkable dreadlocks, the Hungarian Puli is an unforgettable breed of dog. The breed was introduced over a thousand years ago when the Magyrs, a subset of the nomadic Huns, migrated to Hungary from Central Asia. Originally, the Puli was developed as a herding dog, intended to assist shepherds guide and guard flocks of sheep. The breed bears a strong resemblance to the Komondor, another Hungarian breed with a similar tightly corded coat. The Puli and Komondor traditionally worked in tandem with one another to protect livestock from attack from the ever-present threat of wolves. The much larger Komondor was tasked with watching over the flocks at night whilst the energetic Puli guarded and herded the sheep during the day. Should the presence of wolves in the area ever be detected by the Puli, it would alert the Komondor, and together they would chase them away. Today, the Puli retain their strong protective instincts and will fiercely defend their owners and home if it is threatened. The Puli’s unusual coat traditionally provided it with good protection against wolf bites, as if bitten, the wolf would get a mouthful of fur rather than the dog itself. It is also entirely waterproof and does not shed, the latter quality recently making it a popular choice amongst those with allergies. 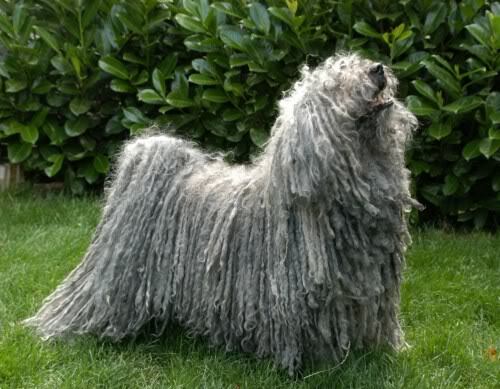 The Puli is usually black in colour, but also comes in white, gray and cream. It is thought shepherds preferred black dogs as they were easier to spot amongst the sheep. 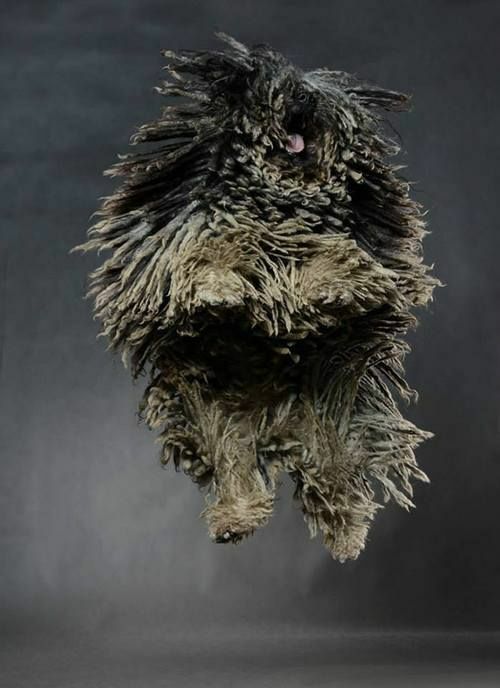 It takes four years for the Puli’s coat to reach the ground. It requires careful maintenance to keep it in good condition and to prevent the cords mildewing. 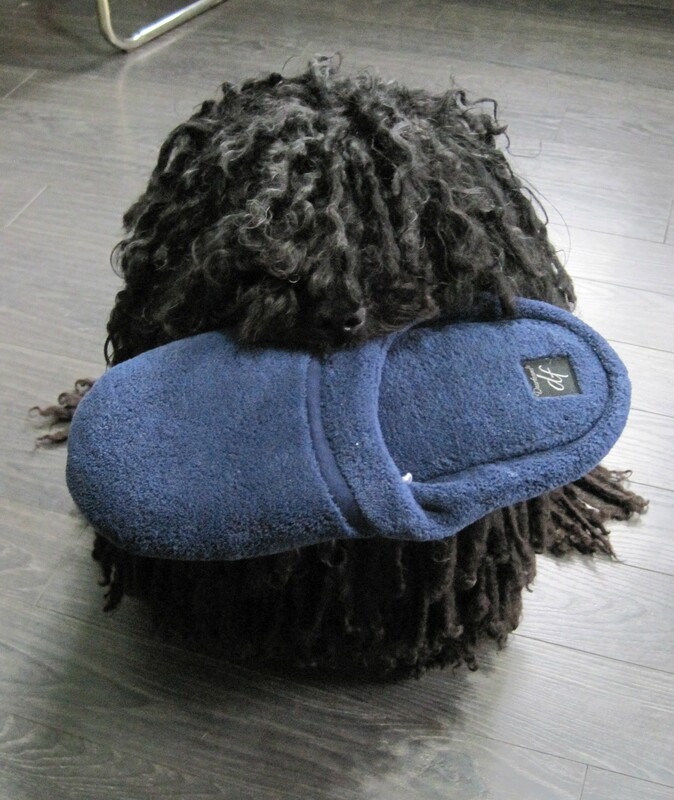 It can take two days without a hair dryer for a Puli to naturally dry. Puli are intelligent, energetic and strong-willed dogs that are always busy around the house and are a good choice for active dog owners who like to make a statement. Facebook founder Mark Zuckerberg is one of the most famous owners of the unusual dog.